The Osburn 2300 is designed for intensive use. 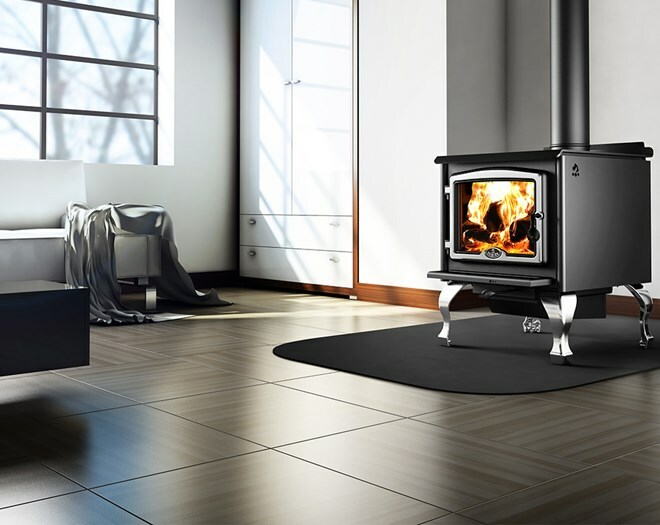 The depth of its firebox and the large door opening makes wood loading easy, with logs up to 20″. Its hidden hinges and very large glass surfcae embellish its use. Comes equipped with a premium quality blower. The secondary air pipes and C-Cast baffle ensures combustion of the highest quality.